Features - An extended safety cuff, usually41/2” or 5” long or longer. Benefits - Offers extra wrist and forearmprotection, particularly from heat andlacerations. Features - Seamless, stretchable rib knit tubing made into snug-fitting cuffs. Benefits - Snug fit prevents dirt and debris from getting inside glove. Keeps cold air out and warmth in by fitting under clothing sleeves. Safety CuffFeatures - General protection 21/2” cuff.Usually a stiff material, such as heavy duck. Benefits - Provides good protection for wrist area plus ease of movement. Features - Glove constructed without a cuff. Glove material extends down over the wrist area. 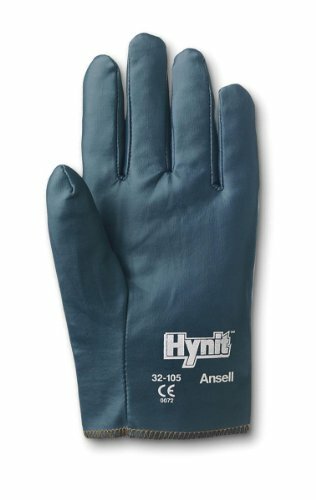 Benefits - Gloves slip on and off easily.Primarily used in driver’s or generalpurpose gloves. Features - In safety and gauntlet cuffs,material is doubled up and bondedtogether with a special rubber-basedadhesive coating in a process calledduplexing. Benefits - Adds liquid and waterresistance plus heavier wear resistance. Features - A band of material, usually 21/4” in width, sewn to the glove for light duty wrist protection. Benefits - Allows air to circulate aroundhand. Economical, light wristprotection keeps glove cost down.